I know I am getting old, I remember: "When I want news I turn to CCN and when CNN wants news the turn to . 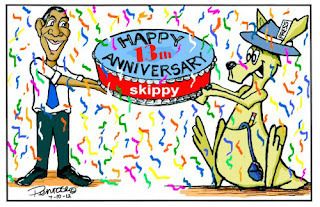 . . Skippy the Bush Kangaroo!" thanks for helping in the great fight. Happy blogiversary, and many more! 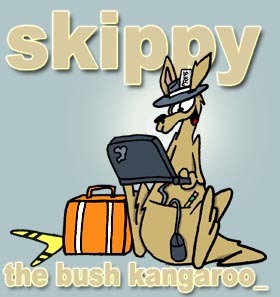 In blogtopia (AYSDCTW), Skippy The Bush Kangaroo rules. wishing you all the very best. thank you for all you've done these many years! 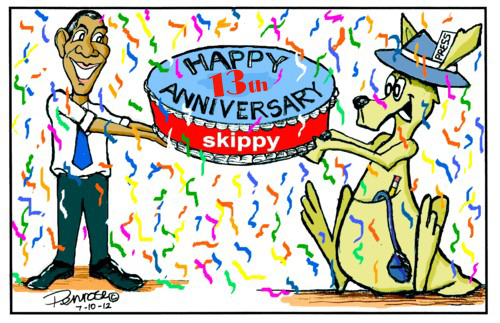 I am so glad you are still here...I have tired of trying to fight the tsunami of stupid. So I am on sabbatical revamping personal life -- but I do keep up to date with the battle right here!